The history of North Carolina’s pork industry is shaped by community tensions and the struggle for power. Our journalistic exploration of the industry was met with some pushback, ostensibly, at least in part, from fear: fear of losing one’s job, assets, reputation, even livelihood. Perhaps the ultimate irony is that this fear — pitting activist against farmer, corporation against reporter, neighbor against neighbor — is driven by a shared set of values and common goals of maintaining community, family and tradition. Farming families have been passing down large tracts of North Carolina’s land through generations. And while farmers still hang on to an agrarian identity, their hog production practices have changed dramatically during the past 40 years: Mechanization, technology, innovation and corporatization are the signposts of contemporary pork production. 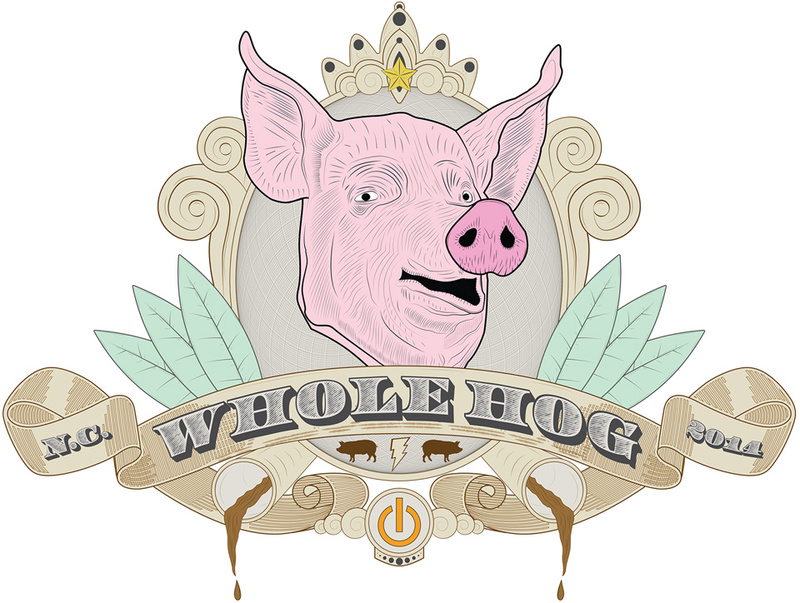 The increased consolidation and corporatization of the hog industry have driven some of this mechanization and technological innovation. Now, Chinese WH Group’s recent purchase of Smithfield Foods makes the exact direction of change and innovation unclear and elicits mixed reactions. However, individual farmers remain the foundation of the industry’s continued profitability, even as the industry expands to international markets. Today’s hog farmers are trying to keep up with the world’s growing demand for pork and keep food on their own tables. To do so, hog farmers must make choices that affect their neighbors’ land, health and quality of life. Their options, however, are limited within the current system of waste management. Even if the choices hog farmers make abide by every legal environmental standard, their neighbors might still have to hurry to finish mowing their lawns before the sprayer turns on and their throats, eyes, ears and noses are permeated with a mist of hog waste. Duplin and Sampson counties have higher concentrations of hogs than any other counties in the United States. They are also home to tight-knit and long-standing communities. But the same communities that come together around plates of barbecue are often pulled apart by the pork industry. Here, the historically Southern cup-of-sugar attitude is overshadowed by the anxiety and conflict residents feel among one another and within themselves as they weigh the benefits of an integrated hog industry against the diminishing control they have over their livelihoods, their environment, their health and their quality of life. This report is more than a story about one community. It is a story of global responsibility. Most contract growers do not own they hogs they raise, yet they are burdened with managing the waste the animals leave behind once they are herded to slaughter. Some people are quick to blame the farmer for practicing the lagoon-and-spray method or for failing to cover lagoons. Yet many farmers do not have the resources required to shift away from these large waste pools. 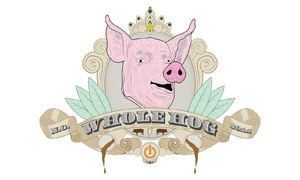 Technology exists that can treat hog waste in environmentally safer ways, but it is expensive. While integrators absorb the risks of market changes for their growers, they generally do not provide them with enough income to treat hog waste in any way more costly than the lagoon-and-spray system. Though grants for farmers exist, traditionally conservative farmers find it difficult to sacrifice their ideals and values to accept hundreds of thousands of dollars in government subsidies. Thus, the spraying continues and, problematically, often in low-income communities of color. The social structures in place in southeastern North Carolina mean that, in all likelihood, a pattern of racial disparity would have emerged no matter what industry came into the area. Some community members, however, refuse to accept these racial inequalities and are working together for a more just environment. Our relationship with food made this project striking. We scoured eastern North Carolina for the best barbecue joints, sharing meals of chopped pork and hush puppies over conversations about the culture, politics and business behind what we were eating. Yet many of our questions for those individuals in control of our food production were met with reticence and even demurral. Maybe it’s because these individuals aren’t individuals at all, but ever-growing corporations. The corporatized industry allows us to get our food faster and cheaper, but at what cost? During the past few decades, the industry has met criticism, perhaps in part because the slaughter of a pig isn’t easy to watch or even think about. But the industry’s environmental and health impacts have made it a target as well. In response, the pork production industry insulated itself — it’s not easy to get a hog farmer to chat about his life’s work these days. Farmers are essential players in the ongoing challenge of feeding the growing world, but many feel they can’t talk to the world they feed. The N.C. Pork Council blames no-holds-barred media coverage of the industry for permanently tainting farmers’ openness with the outer world. Farming, though increasingly mechanized, is a sensitive, personal and familial profession. People had a lot of reasons not to talk to us. Perhaps it was because most had more to lose than to gain in doing so. Farmers can lose their contracts, residents risk upsetting the structures that economically support family and friends, activists can lose momentum against industry practices, and the industry can lose money. Maybe the stakes are so high that some of our sources sought to control their narratives more than most people we encounter as journalists. In the end, both farmers and the communities they live in are vulnerable. Farmers are not fully in control of their financial futures, which are often tied to their contracts with powerful integrators. Concerned residents are not in control of the quality of their air and water. Lack of power breeds fear, and this fear silences those who need their voices heard the most. So, again we challenge you — why does all this matter? In our search for the solution to environmental pollution, political disconnect and community conflict…well, we didn’t find one.